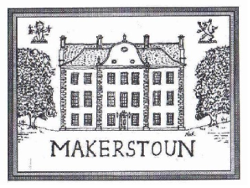 Makerstoun House is a privately owned country home, set high above the River Tweed near Kelso in the Scottish Borders. Once a defensive position, the house now serves as the perfect venue for large summer events; particularly weddings. The Sporting Estate's advantages include two prime salmon beats, and an exceptional, nonetheless jovial, driven pheasant shoot.There is both a professional, full time gamekeeper, Brian King and our professional full time boatman, Colin Pringle.